Korean BBQ joints are great places to sit around, drink with friends, and grill thinly sliced meat. You can do this at home with this great grill by Eva Solo . 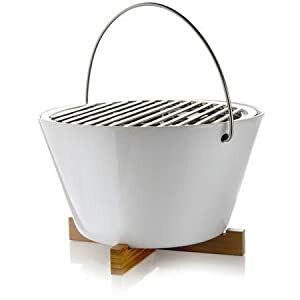 The Eva Solo Table Grill beautifies your table and is perfect for tapas and picnics. The handy size and practical handle makes it easy to carry and enjoy your grilled food anywhere. The bowl is made of Porcelain while the grid and insert, which holds the glowing coals, are made of Stainless Steel. Prior to being lit, the grill can be held by the steel handle. When hot, it stands securely on a Wood table protector. The bowl, grid, and insert are all dishwasher safe. The Joey Roth Sorapot is made from 304 stainless steel, borosilicate glass, and food-grade silicone. It was designed by Joey Roth. While the initial design is pretty darn cool, wait until you start using it. 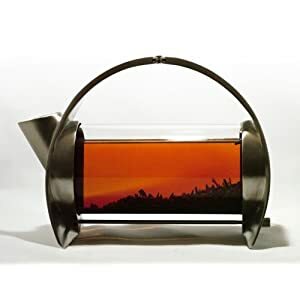 The Sorapot is made from an uncoated stainless steel. This means it will gradually develop a patina where you touch it. The glass tube is removable and easy to clean, and all parts are dishwasher safe. Sorapot from Kevin Rose on Vimeo. I don’t know what this cute little bird has to do with soy sauce. Why, of all things, would you rip its head open and fill it with salty soy sauce? 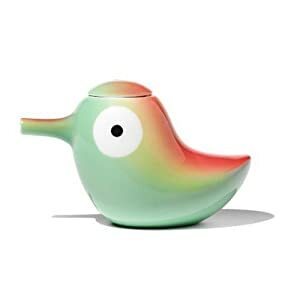 The Lily Bird soy sauce container was designed by Stefano Giovannoni in 2008. It’s made of bone china. 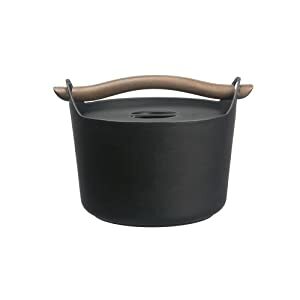 This beautiful dutch oven was designed by Timo Sarpaneva in 1960. The inspiration came from his blacksmith grandfather. It looks as great on the table as it performs in the oven. 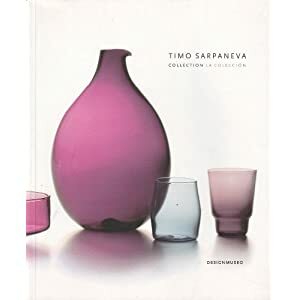 Sarpaneva was born in Helsinki and was an important figure in Finnish design. He’s best known for his glass work. Think of the items people treasure. The things we hold dear and pass on from generation to generation. How big are they? Usually we think of small, intimate items such as lockets, bibles, photographs, and jewelry. Small items require closer inspection and generate a relationship between the item and the viewer. 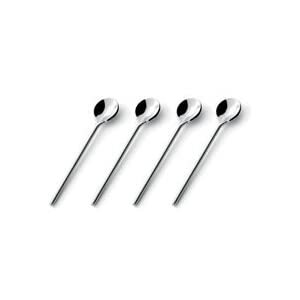 Espresso spoons are a small items that have generated significant attention from designers. 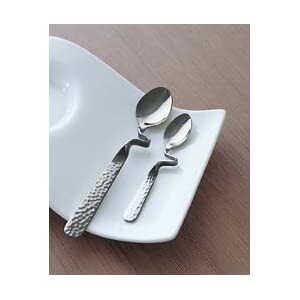 I remember the first time I came across an espresso spoon set by Michael Graves in a museum gift shop. Their presence belied the small footprint. 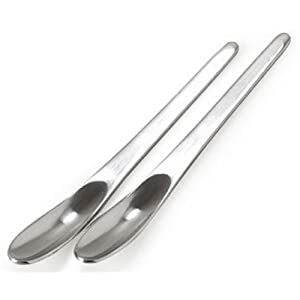 Let’s look at some espresso spoons that go beyond functionality and explore the form. 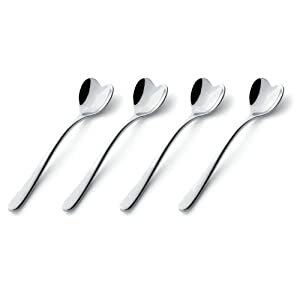 Blomus takes a minimalist approach with this set of flat espresso spoons. 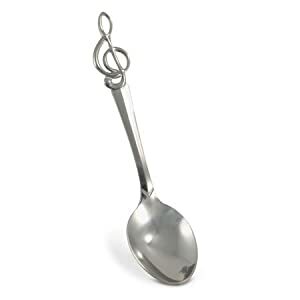 Coffee house music takes on a new meaning with these treble spoons. 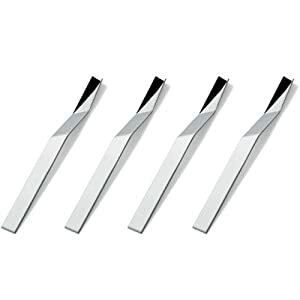 Alessi is known for its high-end designs. 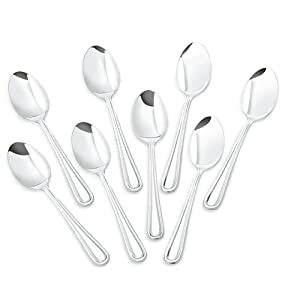 Here is just a sample of spoons from their group of distinguished designers. 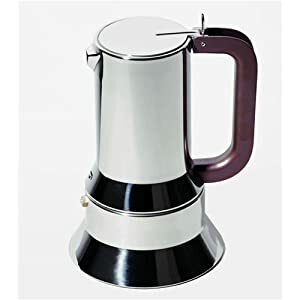 You’ll need something to make your espresso. This maker by Alessi is worthy of the spoons on the table. 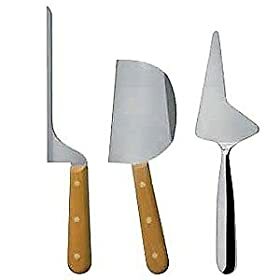 Designed for cutting soft and semi-soft cheeses, with blades hand-forged at Berti Cutlery of Scarperia, Italy. 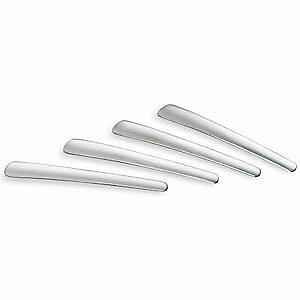 The Alessi La Via Lattea Set of Soft Cheese Knives, created by Anna and Gian Franco Gasparini, has been engineered to ensure that every cut brings out the varied flavors of the cheese.